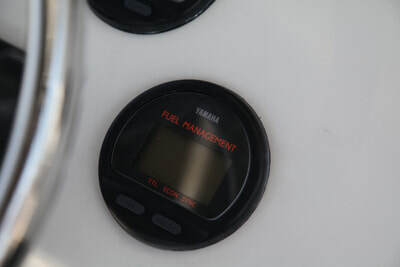 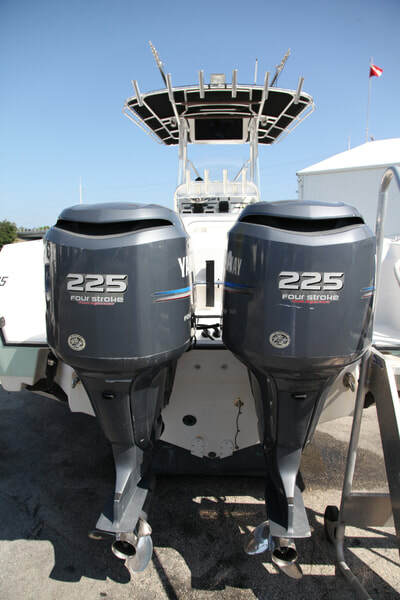 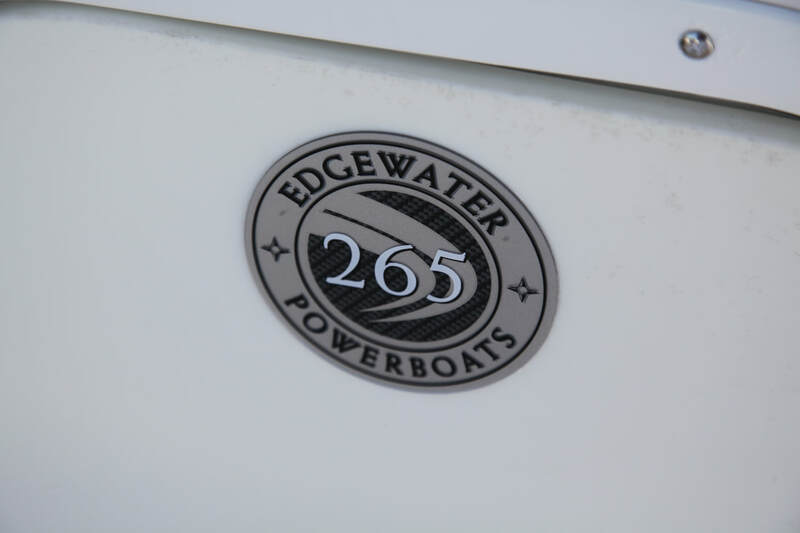 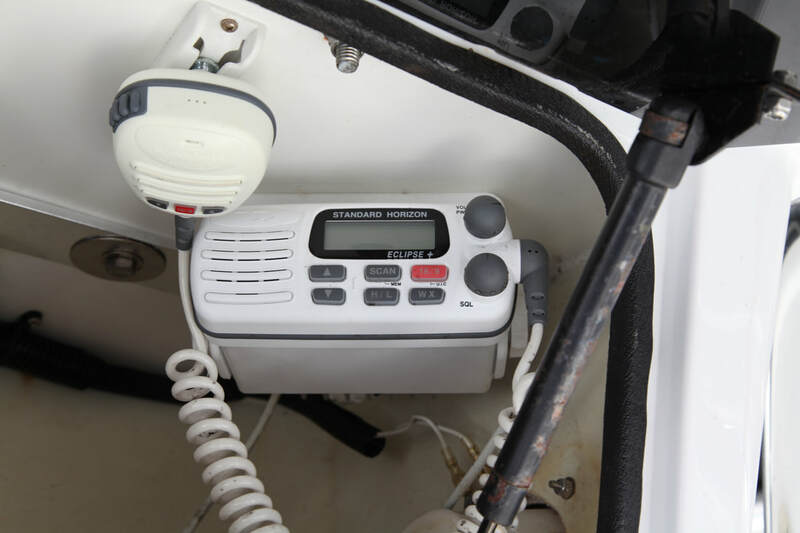 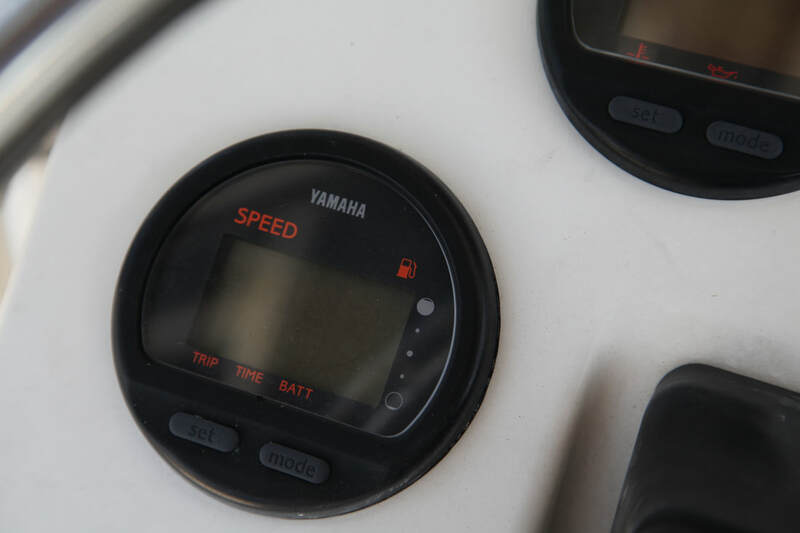 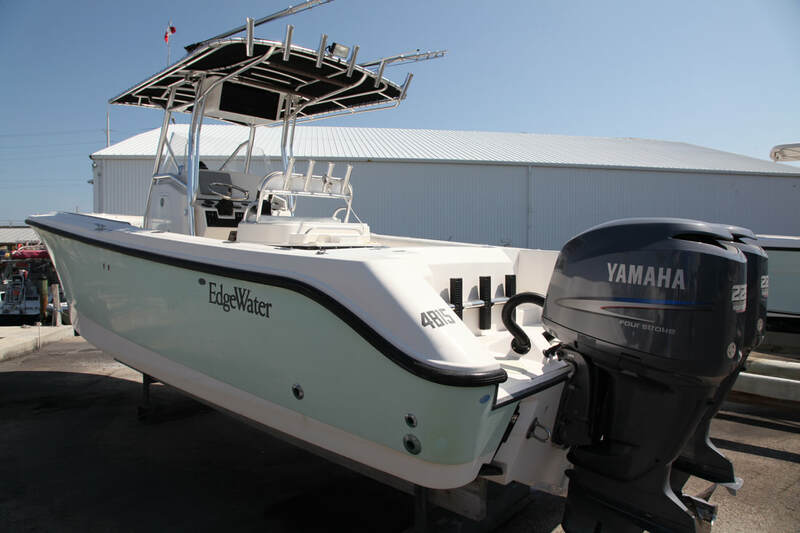 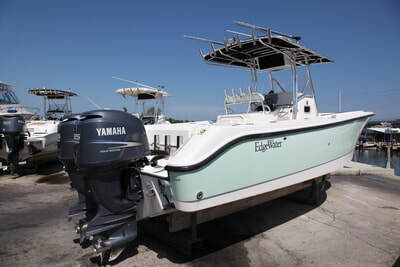 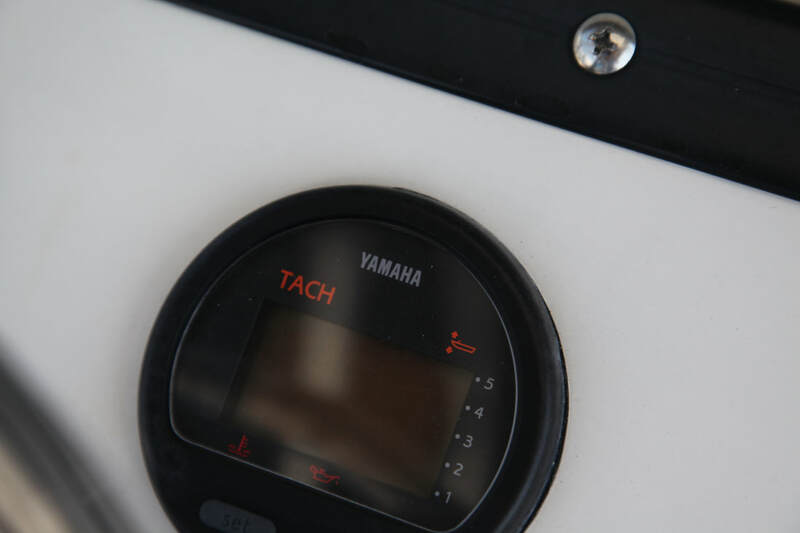 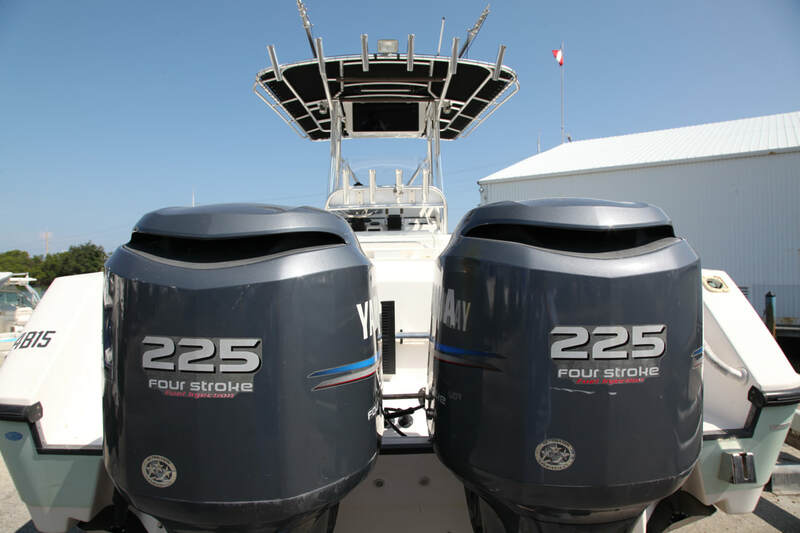 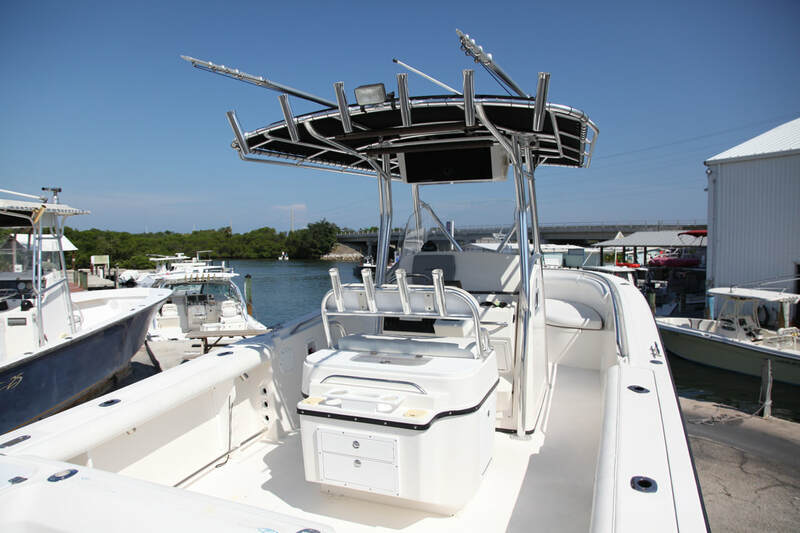 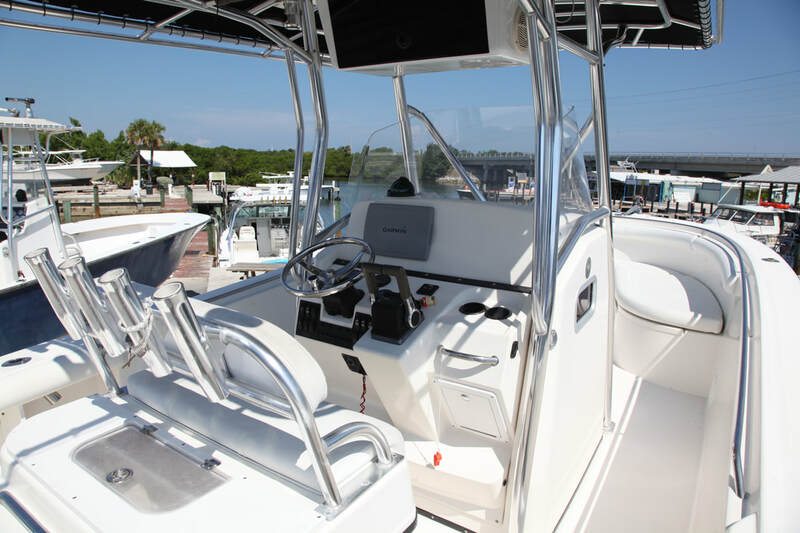 The Edgewater 265 CC features an expansive deck layout, and Rock-solid construction. 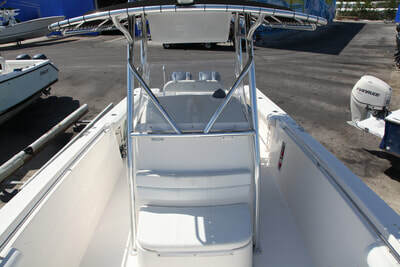 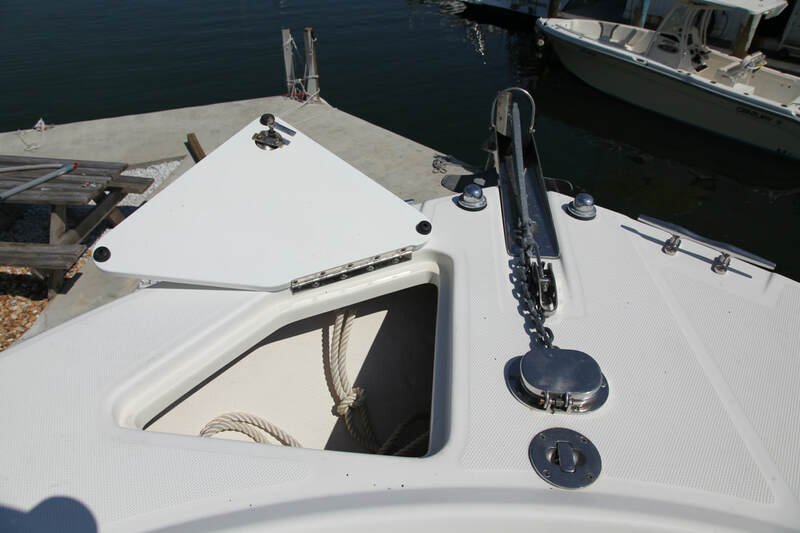 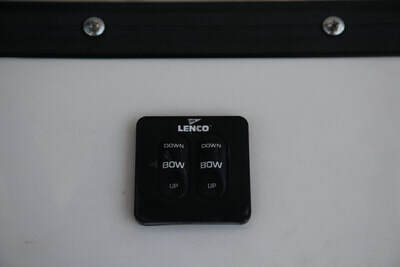 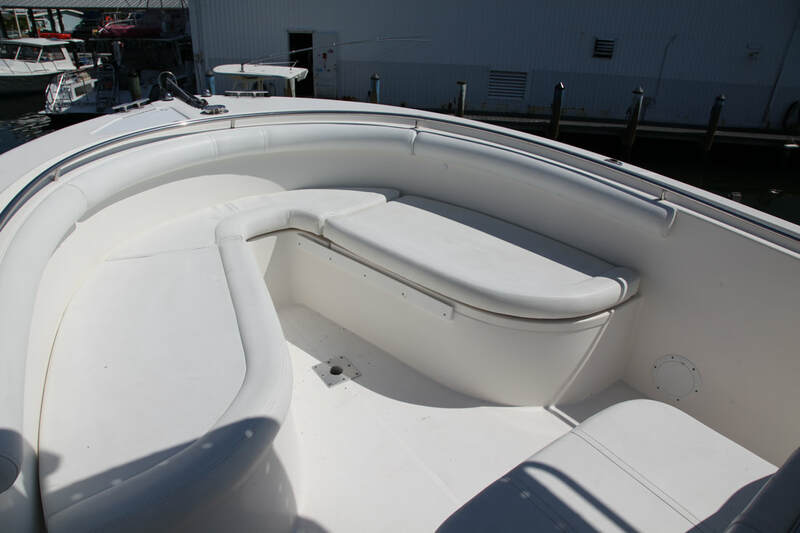 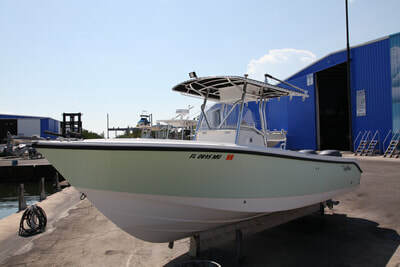 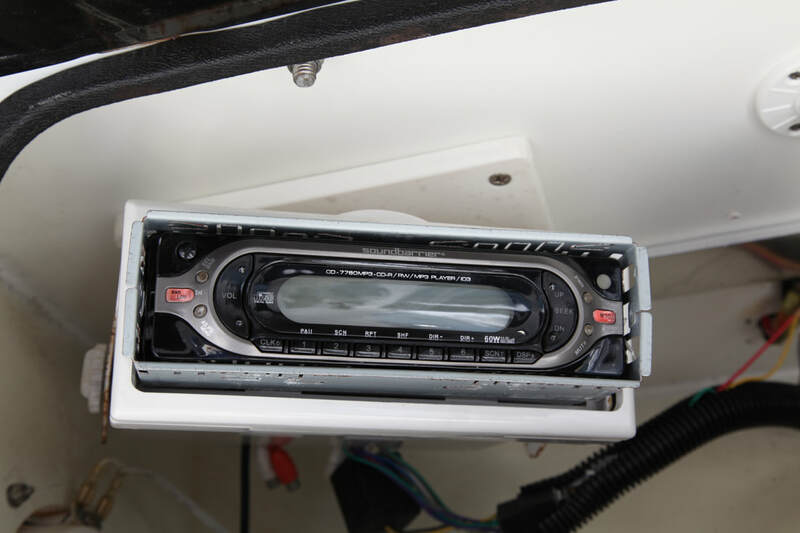 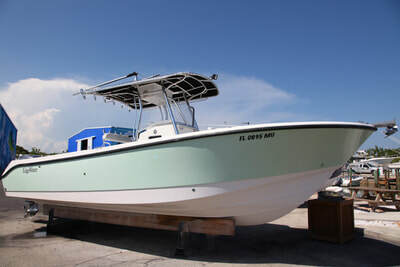 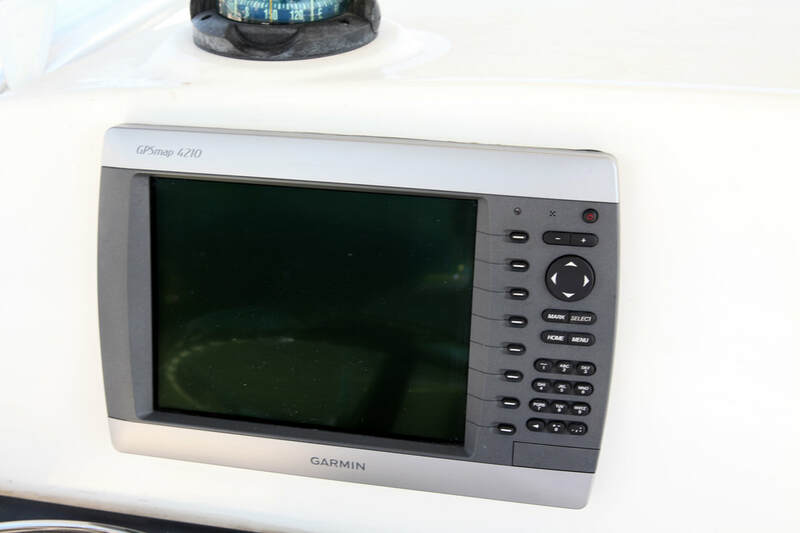 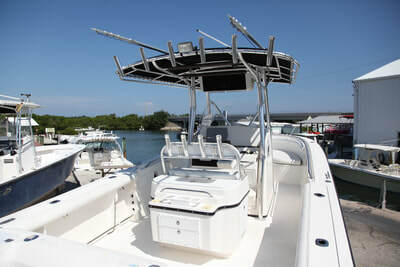 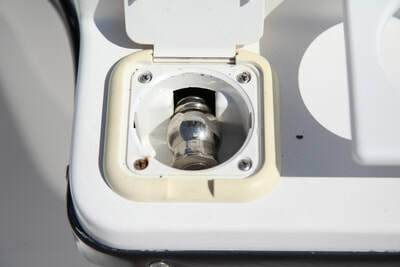 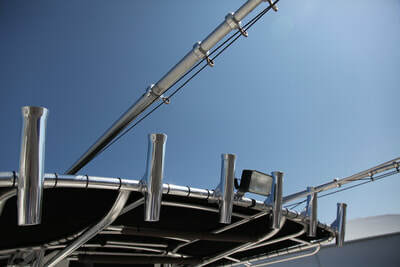 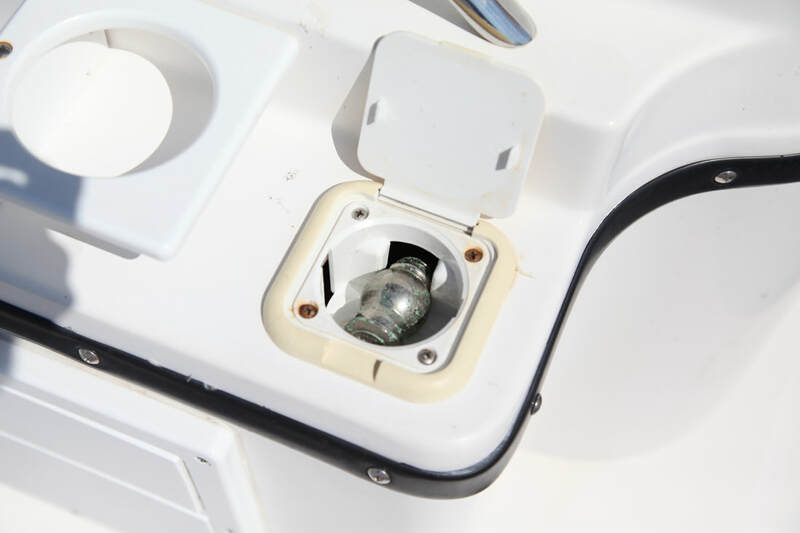 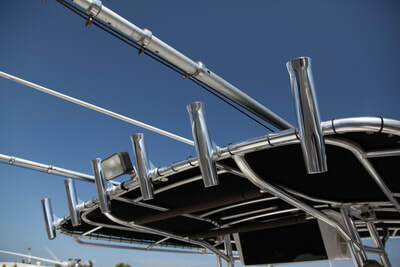 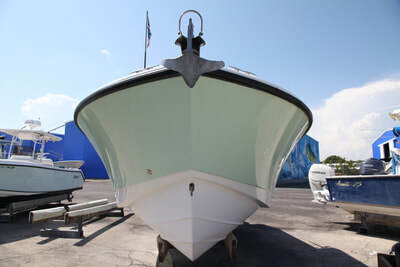 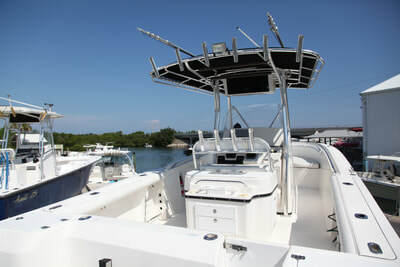 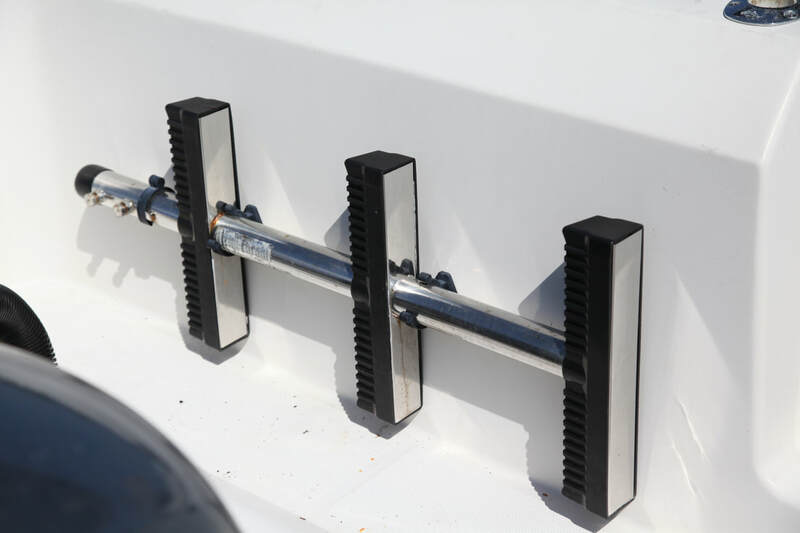 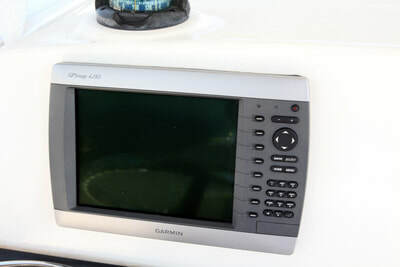 The hand-laid fiberglass hull features a Permagrid stringer system that will give you confidence in any sea condition. Her foam-filled deep-V not only slices through waves l but also makes her virtually unsinkable. 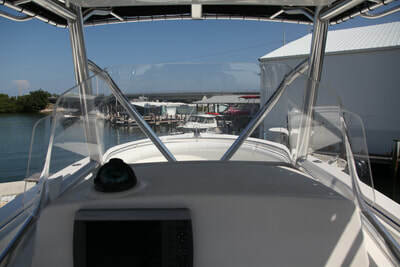 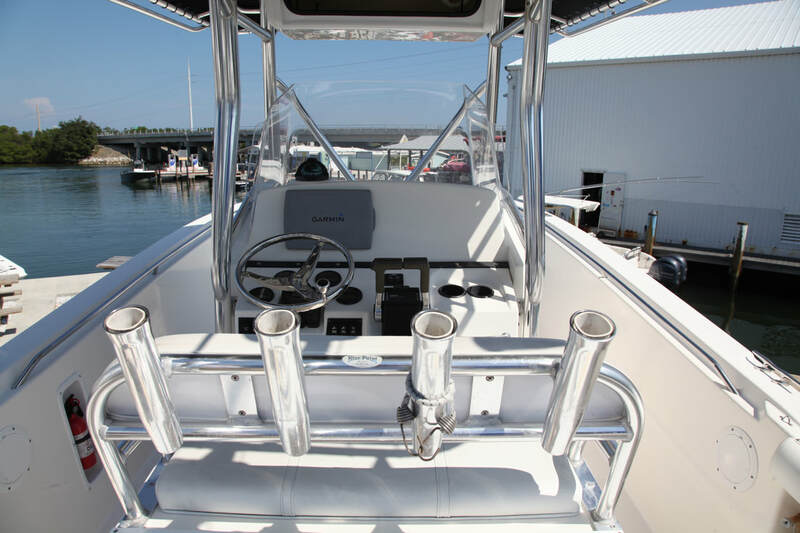 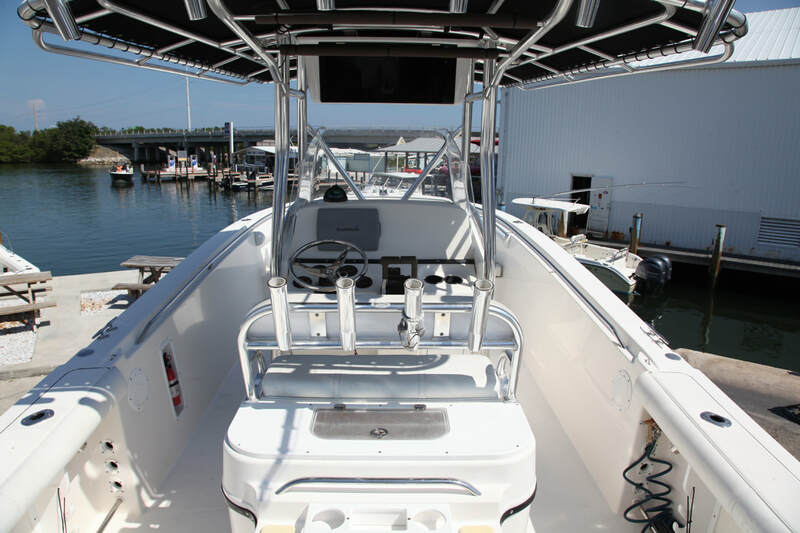 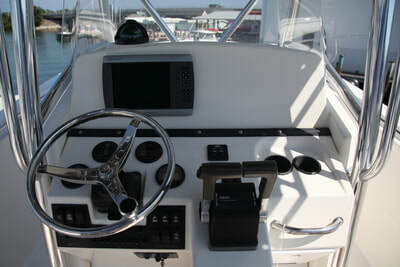 Her cockpit is vast for a 26-footer, spanning 105 square feet.There's a an 18-gallon transom and 44 gal helm livewell. 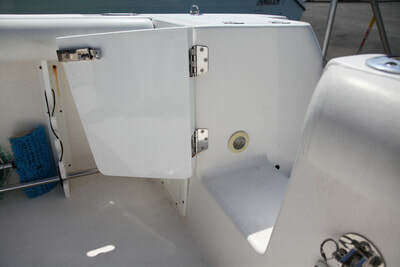 There's a transom door, which makes the big ones a lot easier to land. And when the fish aren't biting, you can head out for a swim via the same walk-through transom. 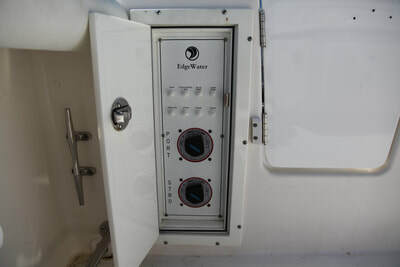 Swimming is safe with the convenient removable ladder. 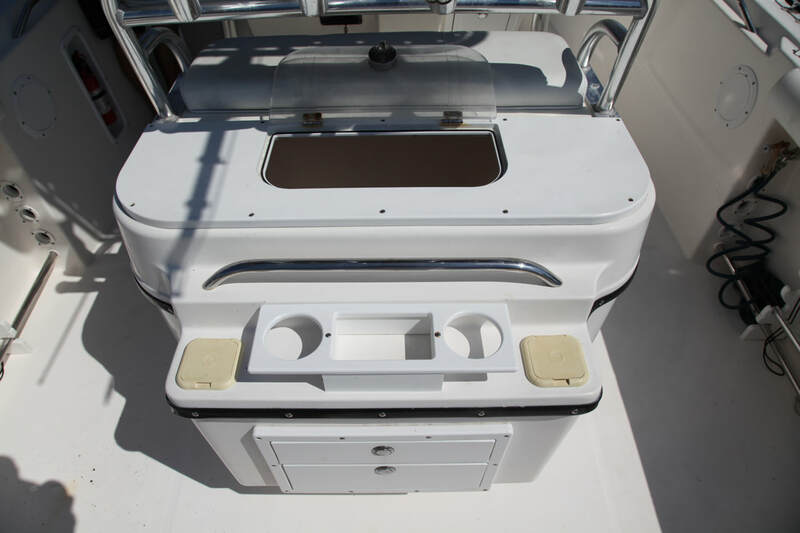 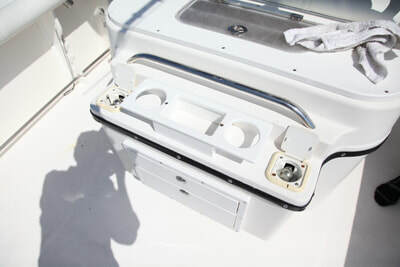 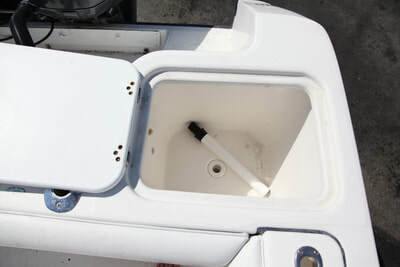 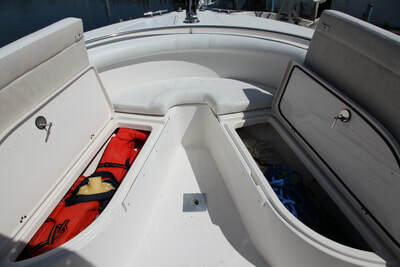 There's also tons of storage space in the console.The conceal portable head, sink and storage drawers is unique for a vessel this size.